Asheville won the accolade of Beer City USA in 2009 and has reclaimed the brew throne almost every year since. Our area has more breweries per capita than any other U.S city, so if you are a beer fanatic, or just enjoy trying a new brewery from time to time, come enjoy what we're brewing up. Here are some of our favorite breweries both in Asheville and Black Mountain (about 20 minutes east of Asheville). 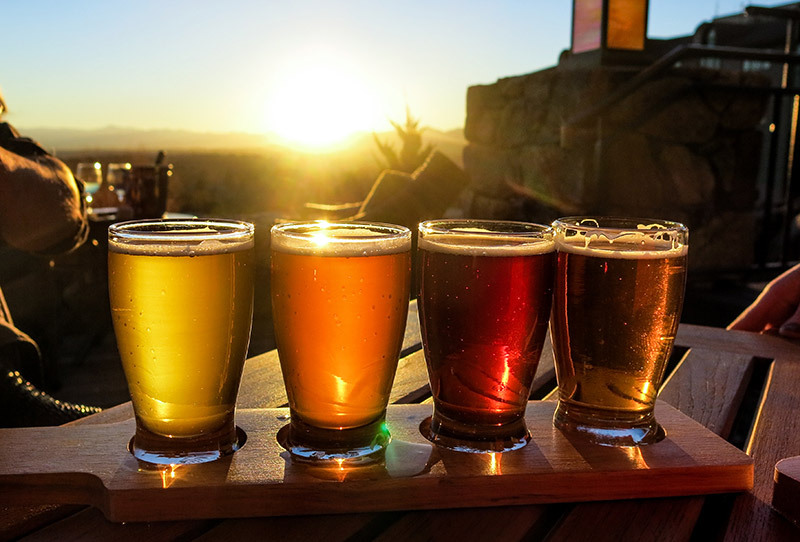 You can't really go wrong with the sea of Asheville breweries, so we've just picked a few that we love and think you will too. No brewery tour of Asheville is complete without a visit to Asheville's South Slope Brewery District. The breweries below are within a couple minutes of Asheville's downtown district. We've broken out breweries that are further than 5 minutes into their own neighborhood categories. These guys are all about reinvention. Sure, you can sometimes find the beer you tried the month before (sometimes), but they are constantly changing their beer menu to delight customers. They have an ideal location on Biltmore Ave and offer a nice environment to sit down for a meal too. They have a second location on the South Slope of Asheville, The Funkatorium, that serves sour beers exclusively. Burial Beer Taproom in Asheville. brewed Belgian beers, and for keeping some of your favorite internationally-known craft beers on tap. Don't let Burial Beer's slightly morbid namesake and decor (that is reminiscent of Halloween night) scare you away from enjoying their amazing beer. Burial is conveniently located in the South Slope of Asheville and set up in an industrial setting complete with scythes, sickles, caskets and plenty of indoor and outdoor seating. If the hunger pangs hit you, Burial also offers a full-service kitchen. We're a fan of the purity and creativity of Burial's beers range from Donut and Espresso stouts to fresh IPAs and lagers. Established in 1994, Highland Brewery is one of Asheville's oldest breweries and has been recognized for the part it played in bringing the craft beer movement to the area. They've got some great beers that you can try at their taproom or just visit any restaurant in Black Mountain or Asheville and they will likely have a Highland brew. If you enter downtown Asheville via Charlotte Street, you will be greeted by Green Man Brewery's "GreenMansion," a 3-story 20,000 square foot packaging hall, retail shop and top floor tasting room with views of the mountains. Green Man was established in 1997, and is known as one of the original craft breweries in Asheville along with Highland Brewing. You can visit Green man's original location (known as "Dirty Jack's") on Buxton Ave, just a quick walk from the GreenMansion. This is also the location where Green Man beer is brewed. If you haven't noticed this already, one thing you will learn very quickly about Asheville is its tolerance of food sensitivities. Ginger's Revenge serves alcoholic ginger beers that are naturally gluten-free. Gluten-free or not, this place makes some delicious brews. Weaverville is a cozy town north of Asheville with a couple of breweries, restaurants and a great location for accessing ski activities at Wolf Ridge Ski Resort. Located just north of Asheville in the quaint town of Weaverville, Zebulon Brewing sits in a quiet alleyway and brews in the same building that they serve beer in. They develop a lot of experimental beer, but specialize in Belgian and French farmhouse styles as well as historical styles. Try favorites like the Tangerine Tripel, House Saizon, Russian Imperial Stout and many more. They sell beer by the bottle, but just make note that they are only open Fridays and Saturdays from 1-6 p.m. They didn't originate in Asheville, but we won't hold it against them. The Fort Collins, CO-based brewery makes some great beer (and a wide variety), and their setting is pretty amazing. The brewery and "Liquid Center" overlook the French Broad River. New Belgium Brewing also offers frequent beer tours. Housed in the River Arts District of Asheville, The Wedge Brewery fits right into the artistic culture of the area. This spot is ideal for a sunny day beer after a hike and a game of corn hole. The Wedge at Foundation is a second Wedge location which is also located in the River Arts District about a mile from the original location in an old leather tannery. The Wedge at Foundation setting is unique in that it adjoins a series of old industrial buildings which are part of the River Arts community and all very colorfully decorated with graffiti. The Wedge at Foundation is also home to the very popular 12 Bones Smokehouse. 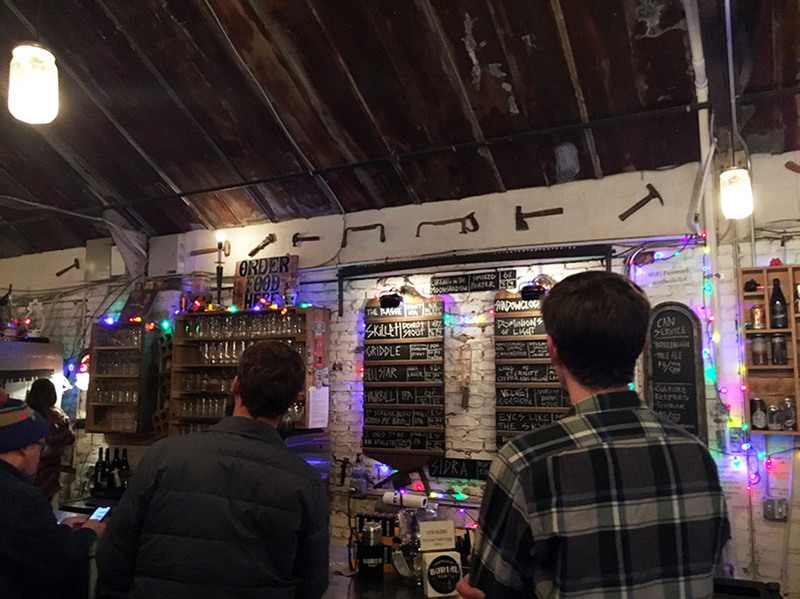 Technically located in the neighboring town of Fairview, Whistle Hop Brewing is the brainchild of a couple of its own beers but they are not too proud to serve some of their other local favorites from the Asheville area. The actual setting is perfect for sunny days with its expansive deck area connected to a caboose where you can order your beer. The site also has a disc golf course. Open Thursday-Sunday for your weekend adventures, Turgua Brewing sells a variety of farmhouse beers, saisons and IPAs. All of their beers are gluten-reduced. Pisgah Brewing Company, established in 2005, is an organic microbrewery located in an industrial complex in Black Mountain, NC. The brewery is complete with a full taproom and stage, an outdoor gathering area and fire pit, and an outdoor stage to catch some of your favorite bands. Pisgah has some great staple beers, including Pisgah Pale, Greybeard IPA, and Nitro Stout, and a revolving collection of delicious seasonal beers. On weekends or concert nights, Pisgah often has a food truck parked out back so you can grab a bite with your beer. Located steps away from the Greybeard Rentals office, Lookout Brewery has been around since 2013 experimenting with small-batch beers and providing a relaxing environment to sit down with some friends to sip a new beer...and they've got some delicious options to choose from. From the owners of the Black Mountain Ale House, Black Mountain Brewing is Black Mountain's newest brewery and serves up everything from Black Mountain Dan's Honey Cream Ale to the Black Mountain Stout with aromas of coffee. They also have a really sweet location in downtown Black Mountain.